If you ordered one of our academic year planners or calendars from last year, you're going to be thrilled to know they are BACK! We have desk pads, wall calendars and various sizes of spiral-bound agendas! 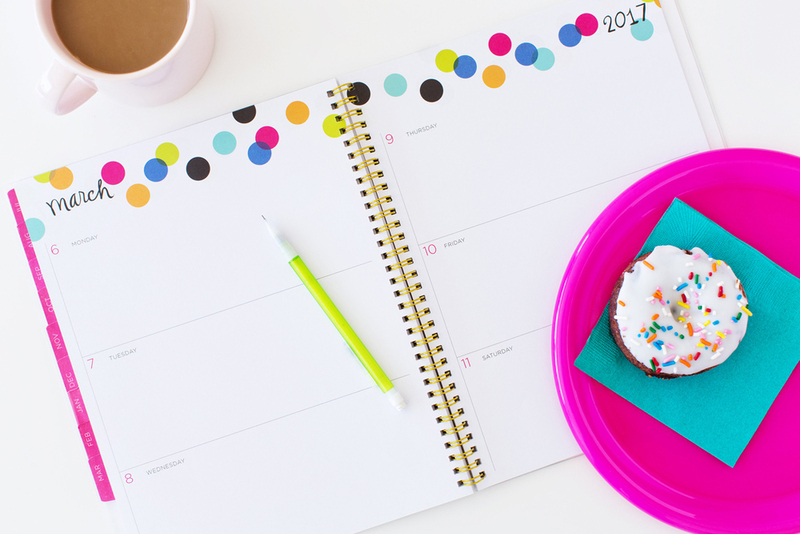 We're keeping things fun and colorful with bright colored dots and stripes and we hope that you can't look at a single day of your year ahead without smiling while you use this new line! You can find of all of our latest calendars and agendas at Staples stores, staples.com, Blue Sky and we have a very limited quantity on our very own shop! The academic year calendars start in July, so it's that time! Hop on it! Our first Field Trip Show in NYC!